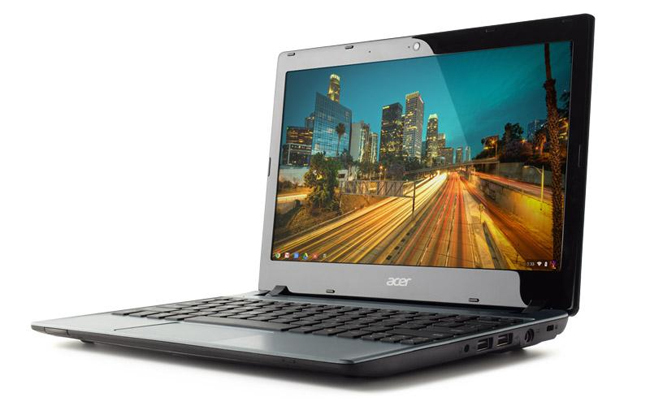 Following on from the leaked details of Acer’s new AC710 Chromebook yesterday, today Google and Acer has announced the launch of the new Acer C7 Chromebook, running Google’s Chrome operating system. The new Acer C7 Chromebook has been designed to offer users a hassle-free computing experience, together with built-in security. As detailed yesterday the new Acer Chromebook is equipped with 11.6 inch display combined with a battery that is capable of providing over 3.5 hours of use. The new Acer Chromebook will be available for $199 in the US from today on the Google Play website, and will be available to purchase from Best Buy stores and website.